"We wanted a laid-back place with plenty of opportunities for adventurous dining." 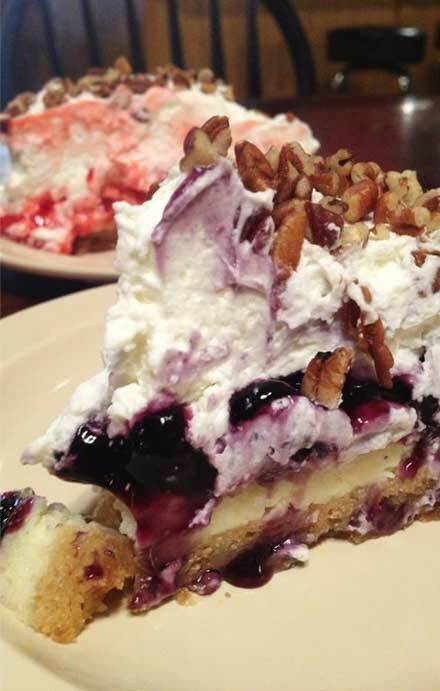 Try a slice of Cast Iron Grill's legendary blueberry banana split pie. My husband, Jim, and I were enjoying a moment to ourselves on the patio of our favorite burger joint while the kids chased each other a few yards away. We were talking about our friend Jennifer—the three of us had met 15 years earlier at Texas Tech University. Though still close, we lived in different cities and didn’t see each other much. In fact, we had only met her husband, Mike, just once, the weekend of their wedding. I’ll say this for my husband: When he makes up his mind, things get done. Within 48 hours, we had firmed up plans to park the kids at my mom’s and meet up with Jennifer and Mike for a “grown-ups only” weekend. All that was left was selecting a destination. We wanted a laid-back place with plenty of opportunities for adventurous dining. And that’s when I had a great idea. 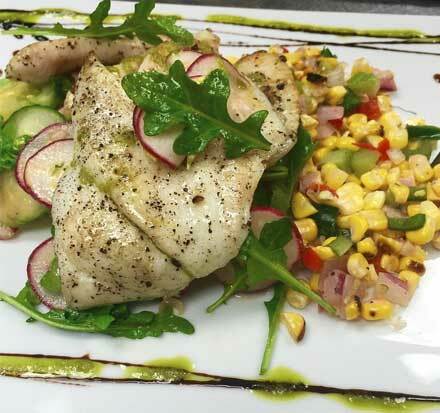 Enjoy an unforgettable meal at the West Table Kitchen and Bar. It’s a town where a good pair of jeans and your best cowboy boots are proper attire just about anywhere, as well as a place to put on that fancy outfit for a night on the town. It’s also known as a place where a cozy small town vibe blends with the excitement of university life and the amenities and attractions of a big city. Even better, Lubbock is a town where you can do some serious eating! We got the food festivities rolling our first evening with a trip to Triple J Chophouse & Brew Co., located in Lubbock’s historic Depot Entertainment District. After polishing off the restaurant’s famous Honey Pecan Almond Salad and Ancho Grilled Filet Mignon (plus a couple of orders of praline bread pudding), we ventured over to La Diosa Cellars to settle in for a night of lively conversation that we enjoyed over some amazing Spanish wine and sangria. There was much to discuss as we caught up with Jennifer and got to know Mike, so the conversation spilled over to the next morning’s crazy-good breakfast at Cast Iron Grill, where we split humongous orders of country fried steak, eggs and western omelets and a piece of their famous blueberry banana split pie. You can’t beat pie for breakfast. "The delicious food and good company made it a night to remember." 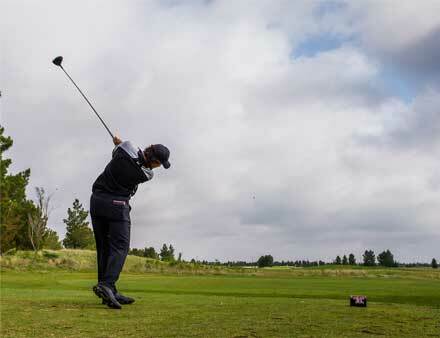 Tee off at the Rawls Course at Texas Tech University. 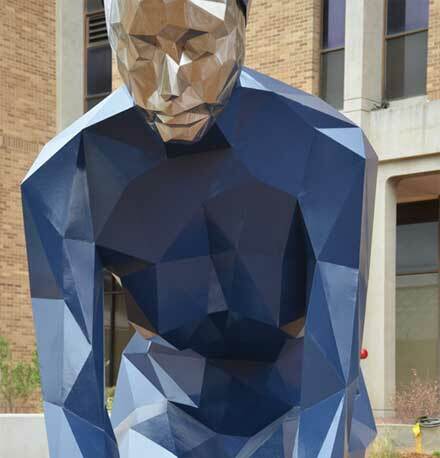 The Texas Tech University Public Art Collection has lots of unique pieces on display. 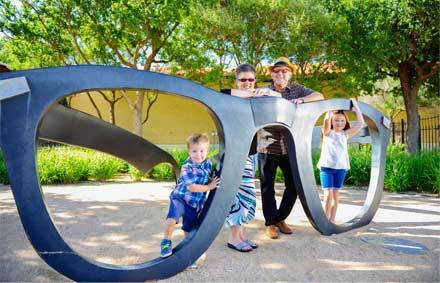 Snap a photo with Buddy Holly's iconic glasses at the Buddy Holly Center. Of course we didn’t mind—in fact, we were thrilled to give the guys, both avid golfers, our blessing to enjoy some time on the greens of one of the top-ranked courses in the nation. While they were golfing, Jennifer and I enjoyed some bonding of our own in the form of a highly satisfying catch-up conversation and a leisurely late-morning stroll through the Texas Tech University Public Art Collection, enjoying the unique sculpture pieces. 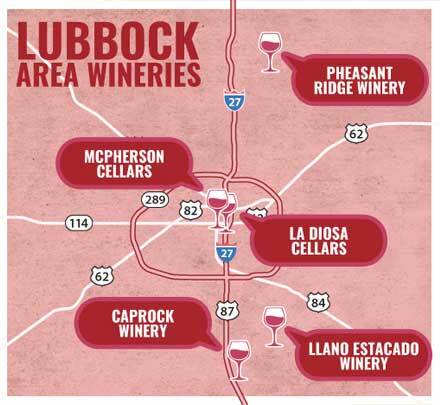 From there, we headed over to the stunning McPherson Cellars, one of Lubbock’s five award-winning wineries, for a little Texas wine tasting & shopping. With four other incredible wineries in the area, it was the perfect reason to plan a future trip to Lubbock over a late but elegant lunch at Café J (the Gnocchi Primavera is an absolute must). We reunited with Mike and Jim that evening at the Buddy Holly Center, where we hopped on a trolley to enjoy the First Friday Art Trail, a multi-venue, free self-guided art tour and one of Lubbock’s most special events. In keeping with our sophisticated agenda, we finished the evening at The West Table Kitchen and Bar, which featured local ingredients in its ever-changing seasonal menu. The delicious food and good company made it a night to remember. More dining delights followed on Saturday, which found us enjoying a south-of-the-border breakfast feast at Jimenez Bakery & Restaurant and a lunch of mouthwatering barbecue sandwiches at Tom & Bingo’s Hickory Pit BBQ, an old weekend afternoon favorite from our college days. After our delicious barbecue, we took a trip to Lubbock’s Silent Wings Museum, a facility dedicated to preserving and promoting the history of the American glider pilots who primarily trained in Lubbock during World War II. Surprisingly, some of the most fascinating commentary came from Mike, who turned out to have an impressive knowledge of military history. Some of the other museum guests joined us just so they could ask him questions! Our last evening in Lubbock found us enjoying a lovely, lingering dinner of Kobe beef burgers, spinach and artichoke fondue, California Cordon Bleu, live music and wine at The Funky Door Bistro & Wine Room, one of Lubbock’s newer fine-dining destinations. We laughed so much my cheeks hurt by the end of the night. And what made the evening extra cool was the fact that Mike wasn’t left out at all, even though we burned through our entire inventory of college stories. By that final dinner, he and Jim had already started their own repertoire of inside jokes and hilarious yarns, which they continued to spin out over bread pudding, French toast and Bloody Marys the next morning during brunch at Crafthouse Gastropub, another new favorite and our last stop before heading out of town. Download your free digital visitor's guide and plan your next getaway to Lubbock.